Yes, I’d love to play poker with our Prime Minister any day. Although much younger, I probably would be fine boxing a round or two with him as well because my grandfather, who was a prize fighter in the 1929’s, when you only got paid if you won, taught me about things like this. Apparently our PM sent Andrew Scheer a gift wrapped talking point when his lawyer sent out a threatening letter. IE, he created a tyre fire just as the first tyre fire was kinda dying down. I mean, even if he was slurred, the optics of this weak soup simply blow up in Mr. Trudeau’s face. 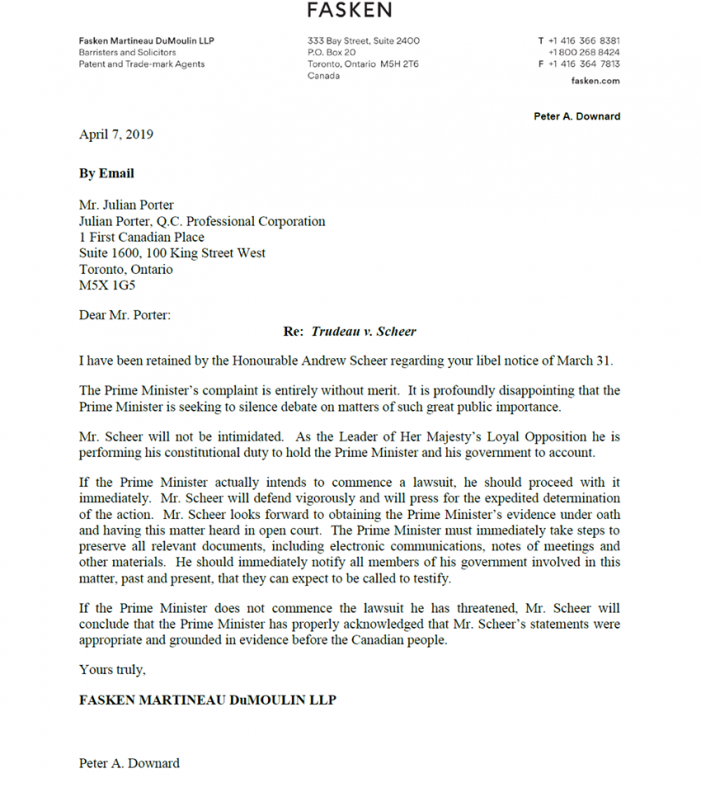 Scheer published his own legal beagle’s return, essentially telling our PM to roll his dice and launch his suit. It was a no lose play. First off the timing is all Scheer’s who has all the talking points on his side. Because at the end of the day most Canadians get it at this point. It’s not about #lavscam much anymore than about a politician who really has the substance of custard, and integrity of…na…um…politician. There simply appears to be no chance of Mr. Trudeau getting a second majority victory, and not many would bet on a minority. It’s time for the party to make like the Ontario Provincial Cons before it’s too late for them. I’m not a bad man. I’m just a bad wizard. In this case Justin Trudeau has simply shown himself to be a truly bad politician. WOW!! Politicians never fail to amaze and amuse me!!!! I and my wife will be voting for Scheer, and we are encouraging and helping register all those around us to do so as well. Take it as a lesson learned, don’t vote for a candidate based on their family involvement in government, and certainly not base on their looks. Trudeau has damaged Canada in many ways and is NOT a leader. He’s more of a dictator and cop out artist. That’s why he won’t debate.